DALLAS – March 14, 2018 – Executives with Smart Outdoor Services, Inc., a leader in water management solutions, announced today that the company has developed a water sustainability program for Stonebridge Ranch Community Association, one of Texas’s largest HOAs spanning over 5,000 acres and located in McKinney, which is projected to save the property management group $3 million to $5 million in water utility costs over the next 10 years. During a pilot program that began in March 2015, Smart Outdoor Services helped the Association reduce its water use in pilot areas by 54 percent in 2016 and 53.5 percent in 2017, or the equivalent of over 24 million gallons of water. 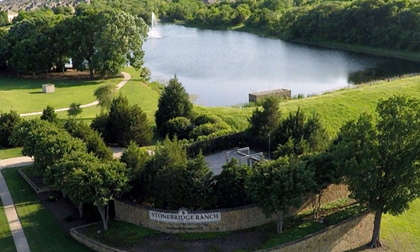 Based on the initial success of the pilot program, Stonebridge Ranch has expanded the project through 2020. The initial study of the Association’s 500+ acres of common greenbelt and open space measured the existing system’s efficiencies. Smart Outdoor Service’s team also conducted a thorough analysis of the Association’s water billing history over six years. Data from the studies led to a custom solution that made the existing water systems more efficient with customized irrigation technology and regular monitoring. The success of Smart Outdoor Service’s two-year pilot program is largely attributed to the company’s unique “sprinklers up” approach to water and landscape management. Over the last decade, North Texas has endured moderate to exceptional drought conditions during seven of those years. As North Texas continues to welcome new residents, the burden on communities to implement water solutions that mitigate the growth is escalating. Water, which sees a double digit increase in cost year over year, remains the fastest accelerating utility cost for municipalities and residents.